Donald Glover continues to have an amazing year with Atlanta TV series winning two Emmys on Sunday including creating history. 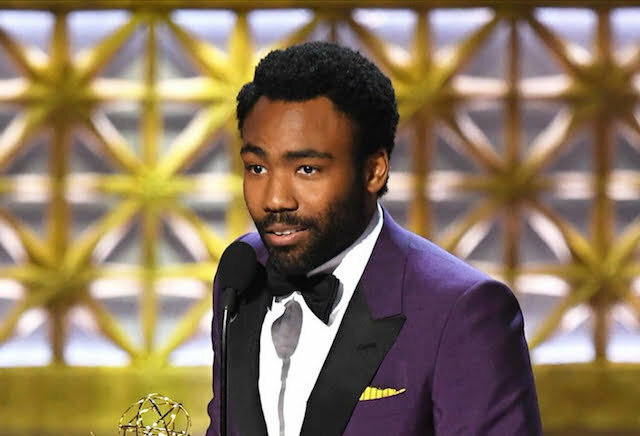 Glover won the Emmy for Outstanding Lead Actor in a Comedy Series for his role in the hit FX series and then he created history by becoming the first African American to win an Emmy in the category of Outstanding Directing In a Comedy Series. To make it even more impressive, he beat out competition from other hit TV shows like Veep and Silicon Valley. In January of this year, Glover won himself two Golden Glove awards and last night he went into the Emmys with five nominations and walked away with two. Donald Glover, aka Childish Gambino, debut the comedy series Atlanta on FX last year and it became an instant hit. The second season was delayed until 2018 when it will begin filming. The rapper/actor thanked his parents, his son, his wife and his Atlanta castmates while accepting the award. He also thanked his friend Hiro Murai for teaching him about directing.